The Aviva Stadium, home to The Irish Rugby Union and Republic of Ireland Soccer teams is Ireland’s premier Sports Arena. From live sporting events to concerts, the Aviva Stadium hosts events all year round. 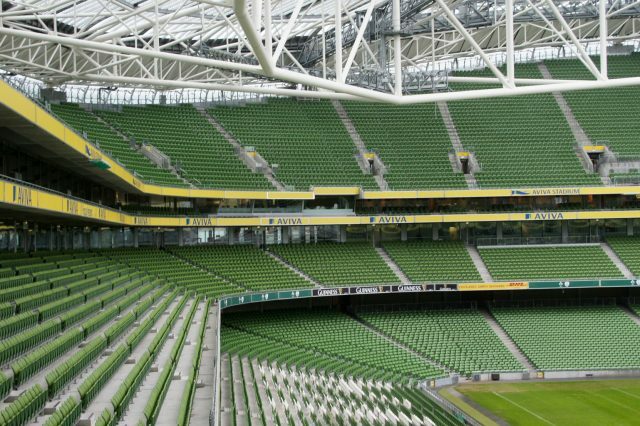 With a seating capacity of 50,000, Aviva Stadium plays host to some of Dublin’s biggest and best events. If you’re looking for a hotel near Aviva Stadium Dublin, The Belvedere is in the ideal location. Click here for our special offers.